We weren't expecting this! We wouldn't have thought that a guy who is in a race for Illinois Treasurer (Mike Frerichs) and Da Mare (Rahm Emanuel) would have time for a costume party. 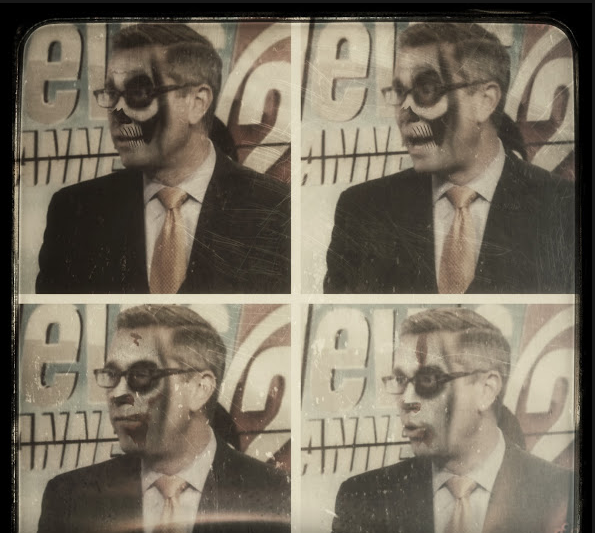 And...it appears that Frerichs is really taking this whole Halloween thing to a new level as he posted what looks like him in a tv interview with a whole new set of spooky makeup?! ?